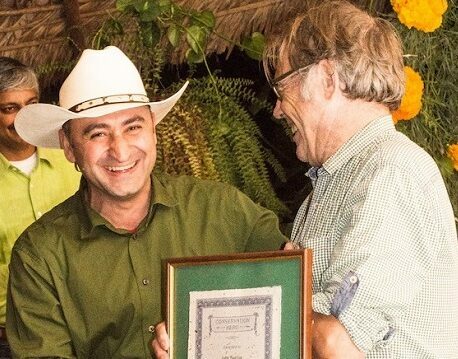 Financial sustainability, community engagement, and land purchase for conservation were topics warmly debated at a meeting of Honduran and Guatemalan conservationists in Guatemala. The gathering was designed to enable two quite different conservation organisations to share information and discuss best practice. The meeting was made possible with support from World Land Trust (WLT) and IUCN National Committee of the Netherlands (IUCN NL). WLT supports events such as this because by combining theory and practice, discussion and site visits, they provide both information and also inspiration. Seeing established projects, and hearing honest accounts of successes and failures, is important if future conservation projects are to thrive. In Honduras AESMO (Asociación Ecológica de San Marcos de Ocotepeque) is a grass roots conservation group created in 1990. Over the years, AESMO’s local community work has expanded to include protection of wild areas and watershed areas, delivering environmental education for schools, teachers, farmers and communities, as well as training and technical assistance in food safety. AESMO currently manages land belonging to the municipalities but does not own any land in its own right. This may be about to change as AESMO is planning to expand the area under protection within Güisayote Biological Reserve, and purchasing land in its own name, with the support of WLT, is a real possibility. Over the border in neighbouring Guatemala, FUNDAECO (Fundación Para el Ecodesarrollo y la Conservación) was also founded in 1990. 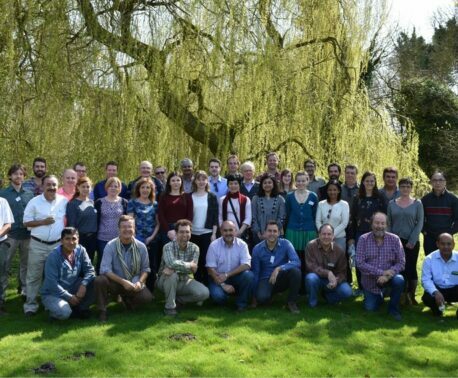 Broadly sharing the same aims as AESMO, FUNDAECO has taken a quite different path to achieving its conservation goals. 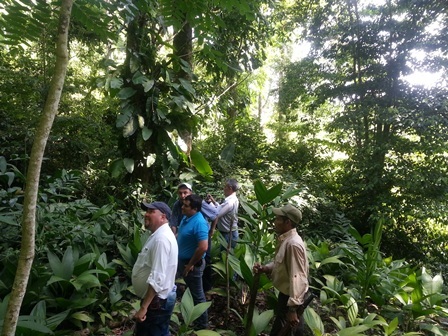 In 2009, with support from WLT and IUCN NL, FUNDAECO started to purchase land on the Guatemalan side of Laguna Grande-Sarstún and has continued to develop a strategy to purchase and protect land of biodiversity value. In addition to its conservation work, FUNDAECO has invested in facilities and programmes to improve the health and economic livelihoods of people living in the Sarstún area. More recently the Guatemalan NGO has been pursuing financial independence by seeking support from the business sector in Guatemala, a strategy endorsed by WLT. With funding from its Keepers of the Wild appeal, WLT currently supports a ranger in Laguna Grande-Sarstún Reserve. Following a visit to Honduras earlier in the year WLT has also made a commitment to fund an AESMO ranger in Güisayote Biological Reserve. So, what could the two organisations learn from each other? There was learning on both sides. FUNDAECO representatives were impressed by the success of AESMO in obtaining the support of the municipalities for biodiversity conservation and micro-watershed. In turn, the AESMO representatives were convinced by FUNDAECO’s participatory approach to the management of protected areas, including the provision of comprehensive assistance to communities and the environment. The value of exploring the possibilities of ecotourism initiatives and other green businesses was evident. And perhaps most importantly, the Hondurans were willing to consider the purchase of land for conservation – with title vested in AESMO. At the end of the programme, the two NGOs made a commitment to exploring a bi-national conservation project, which they believed could be viable and attractive to potential donors. Both organisations called on WLT and IUCN NL for further support for ongoing information exchange. The event took place at Santo Tomas de Castilla and Puerto Barrios, Izabal, Guatemala, Wednesday 26 to Saturday June 29, 2013.